This superb waltz owes its name to the isles in the Gulf of Saint Laurent. Bruno plays it on a chromatic in the key of A. Principal Difficulties: As with all waltzes, play this one with lots of freedom within its 3/4 time. For example, allot the absolute maximum amount of time to the half notes of measures 7, 19, and 23 (play them “au fond du temps” – see notes for “Galope a Bruno”), and punctuate the eighth notes of measure 21 as if they were dotted. Playing this waltz on a chromatic, which, unlike a tremolo, has single reeds, allows you to stretch, slightly bend, and thereby play certain notes with a great deal of feeling. It also allows you to articulate repeated notes (measures 1, 2, and others) with the slide. Note: Play the first G note of the triplet in measure 11 as you do the second G - by drawing, without the slide - not by blowing (we could not “teach” our computer program to indicate this). Although said to have been written by ten-button accordion player Marcel Messervier, this tune is actually an arrangement of a tune played by fiddler Edmond Pariseau, who recorded it in 1953 as “Reel du Commonwealth”. 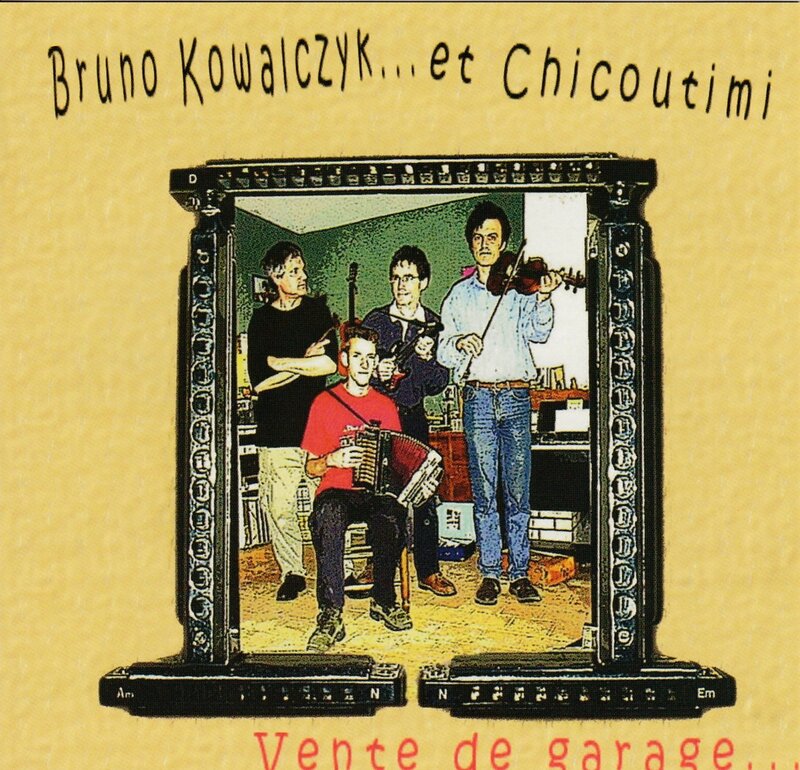 Bruno’s version is largely inspired by Olivier Chérès. Parts A and B are played on a Tombo 1521 in D, parts C and D on a Tombo in A, giving the tune a good “groove,” a dynamic quality you can’t produce by playing the whole tune on a D harmonica. Principal Difficulties: A difficult tune to master, specially because A and D harmonica parts are similar. Use either the angling technique (2.3.4.2) or the tongue switching technique (2.3.4.3) to play the quick arpeggios like that in measure 1. You might replace the triplets in this measure by eighth notes, but, if you do, you’ll have to articulate the eight notes. Maybe there is no easy way. Sorry! Practice slowly, articulating all the notes of certain passages – like those in measure 4: these notes are all blow notes, and the only way you can separate them from each other is to cut your breath between each. At measure 20, you must jump to the next octave: the notes in that measure are too low for the harmonica. Day ago i got some shocking info about Omega 3 stuff and now i very wanna buy it. But i'm not absolutely sure which benefits will i have. I've got this omega 3 info , and now i want to purchase it with good price. Any idea? Yesterday i read some interesting info about Omega 3 foods and now i really wanna get it. But i'm not absolutely sure which pluses will i have. I've found this omega 3 info , and currently i want to get it with good price. Any idea? Yesterday i got some shocking info about Omega 3 foods and now i really wanna buy it. But i'm not really sure which pluses will i have. I've got this omega 3 info , and currently i wanna purchase it with good price. Any idea? Day ago i read some interesting info about Omega 3 stuff and now i really wanna buy it. But i'm not absolutely sure which benefits will i have. I've found this omega 3 info , and currently i wanna get it with best price. Any idea? Yesterday i read some shocking info about Omega 3 foods and now i really wanna buy it. But i'm not really sure which pluses will i have. I've got this omega 3 info , and currently i want to get it with lowest price. Any idea?